TIRANA – RYCO Secretary General Mr Đuro Blanuša received today Ambassador of the Republic of Slovenia to the Republic of Albania Her Excellency Ms Lea Stančič in RYCO Head Office in Tirana when they discussed Slovenian support to RYCO. 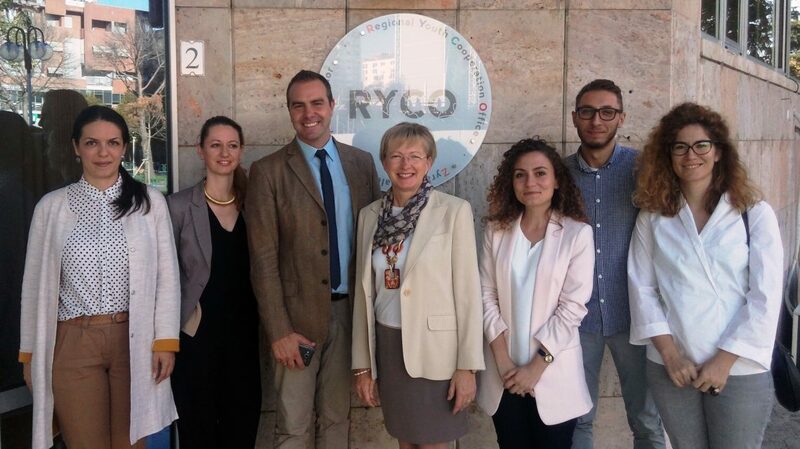 Ms Stančič said that she sees RYCO as a basis for the future way of cooperation in the Western Balkans. She added that Slovenia will always advocate for such initiatives and assured Secretary General that her country will do the same in the EU institutions when it comes to RYCO. Mr Blanuša informed the ambassador about the ongoing process and said that he is happy that Slovenia is joining the other EU countries in their support to RYCO. He recalled that the Agreement on the Establishment of RYCO was signed in the presence of the representatives of the Slovenian and Croatian governments and expressed his hopes that those two countries will join the initiative since their civil society youth sectors are advocating for s such step.